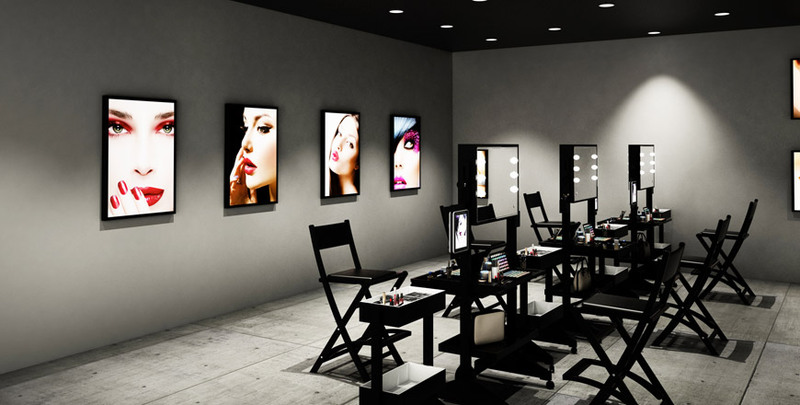 Opening a makeup school involves important choices made of considerable investment, acquisition of lighted makeup stations, the searching for sponsors. 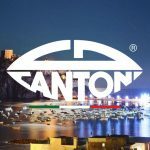 That is why Cantoni has created solutions purposely designed to meet the needs of training courses in the beauty sector. The goal is to provide effective, professional stations, with perfect lighting for make-up, offering various, flexible solutions suitable for furnishing both small and large spaces. The product purposely designed for makeup schools and salons is the wheeled make-up station. When space is at a premium, up to four students can work simultaneously from a single make-up station. The coordinated trolley LC makes it possible for students to share the same set of products. Available in various models, the L200 and L400 wheeled make-up stations by Cantoni are perfectly complemented by the S102N and S104 chairs for make-up artists in black lacquered wood. If there is plenty of wall space available in the school, Cantoni recommends installing wall-mounted illuminated mirrors. Available in a glossy methacrylate version with the I-light lighting system set in the frame (mod. MW) or the MDE500 modular range with the lights set directly in the mirror, they create a professional and evocative atmosphere. To complete the wall mirrors, Cantoni offers transparent shelves of various sizes. The tall, single or adjustable height makeup chairs in aluminium or wood with headrest complete the makeup station perfectly. Makeup school at work with portable lighted mirrors mod MW01.TSK Cantoni. 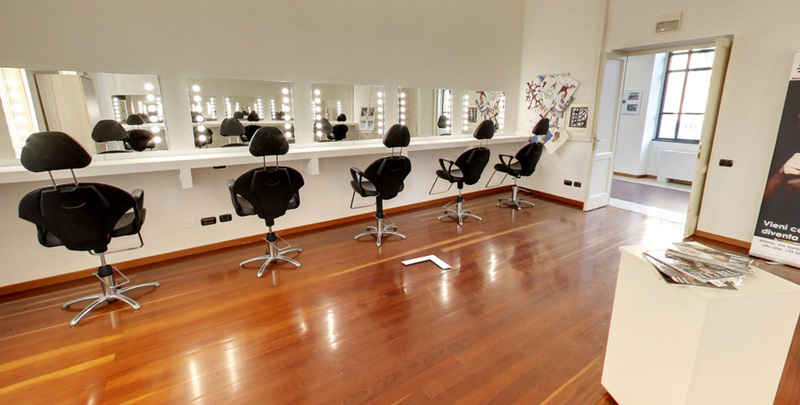 Spaces have to be managed dynamically in a make-up school. Sometimes a school-room style arrangement is needed, whilst other times the same tables need to be transformed into makeup stations for practical lessons. 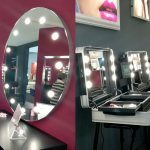 Cantoni offers a range of illuminated table mirrors suitable for make-up courses, single lessons or seminars: you can choose among the foldable vanity mirror MDE-TABLE, theLTV wooden version or the MW01.TSK multitasking portable version. The latter, which can be hung from a wall or used as a table mirror, is easy to transport and combines the quality of Cantoni lighting with the utmost practicality. LTV double-side, illuminated make-up mirror for make-up course rooms and academies. 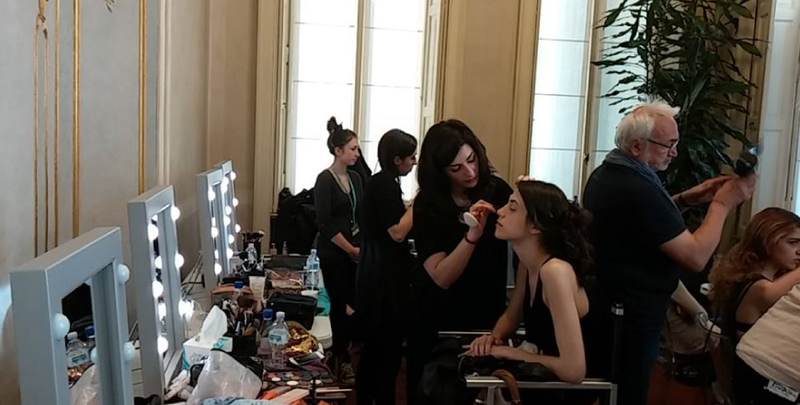 To train the best professional make-up artists, we believe it is fundamental to use the right lighted makeup station exactly in the makeup schools: the right choice is an enveloping lighting at the correct colour temperature, avoiding light points that generate heat or cast shadows on the face. In fact, the correct use of light must not be overlooked when learning how to use colour, chiaroscuro and contrast correctly, all of which are key elements to good make-up. That is why our products are fitted with the I-light lighting system, the only lighting system in the world designed for make-up artists.